We’ve been operating the HD Video Production business since 2006 and cover the big Seattle area. We offer both: photography and videography services. Along with Wedding Photography, we also do Engagement sessions. The major key to the Engagement photography is to reflect the tenderness and the essence of the couple being in love, enjoying each other’s presence and anticipating the very special event, the Wedding. We have a set of locations that we offer our clients to visit for capturing Engagement walks. Your pictures will be taken with artistic eye, incorporating the light, architectural and nature beauty and the texture, as well as gestures, emotions and the postures that will leverage unique traits of every couple naturally. Also, we prefer to set our clients to comfort vs trying to embed them into a standard and rather obvious format. We also enjoy to work with different clients – even the very timid clients can feel pretty relaxed with the techniques of communication and positioning that we use. In 2014 we started to offer HD Real Estate photography. Hurry up for getting a promotional discount through Summer 2014! Nature photography is a special passion that Slava excels in. He won a “Photo of the Month” contest held by prestigious Imaging Resource in 2013. For other types of photography services, such as events, parties, special celebration, live shows or performance photography, call us for a quote. We also can produce an artistic, crafted with European elegance and tastefulness Wedding Video. 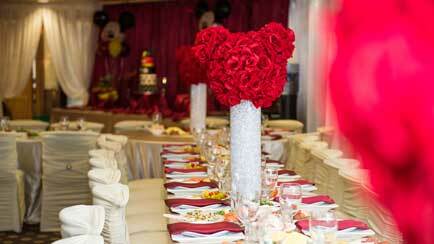 We offer video wedding packages for various budgets and sets of preferences. If you’d like to order a Wedding video or a video service for covering your special event, commercial, live show and more, feel free to contact us.